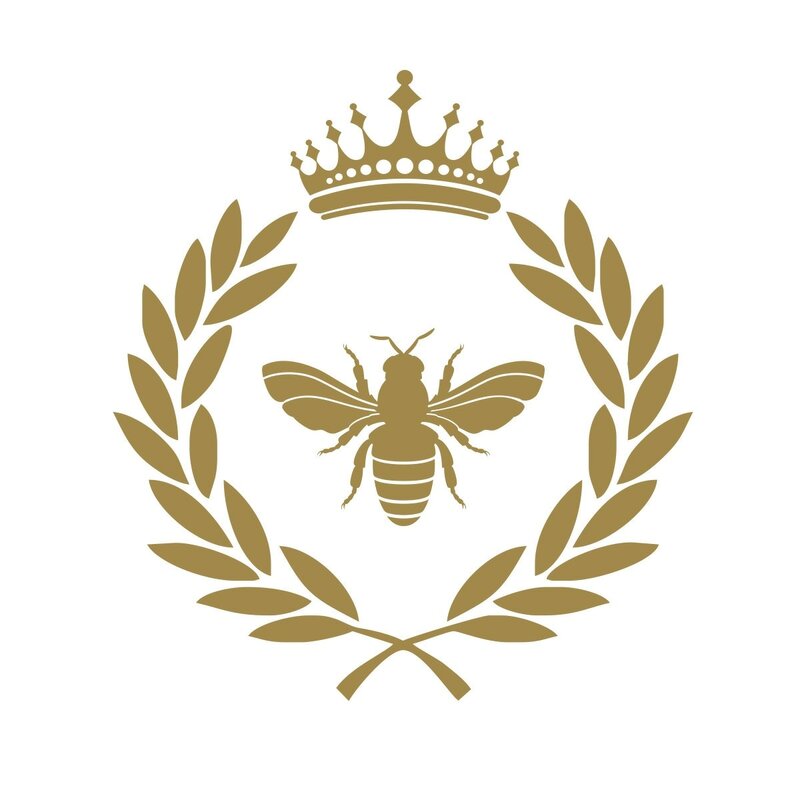 Decorating in a french country or rustic chic theme, this extraordinary decal that incorporates a laurel wreath, crown and Napoleonic bee will be a fabulous addition. It's an absolutely perfect wall accent for country french decor. 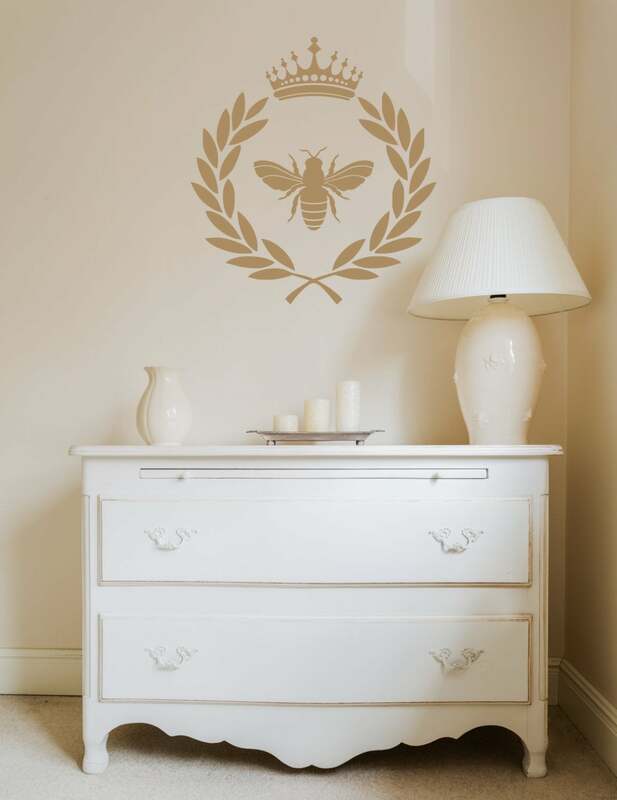 Wall decals are the quick, easy and affordable way to decorate without paint. 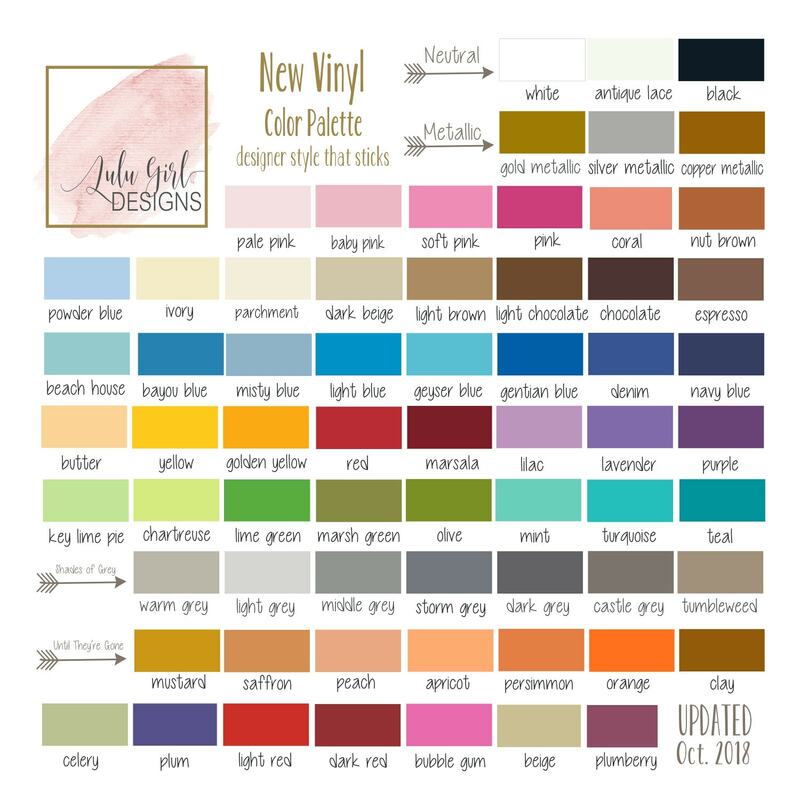 Background color represents wall paint. 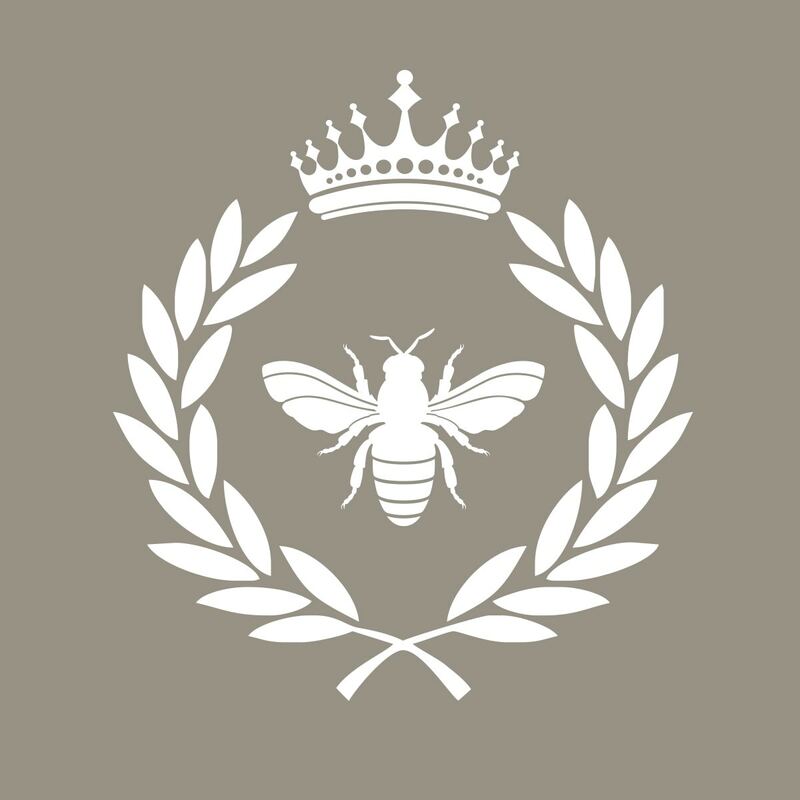 Design shown in light brown, storm grey, gold metallic and white. I also love, love, love this design in dark beige on a white wall.